Embark on a four-night Nile River cruise with private excursions. 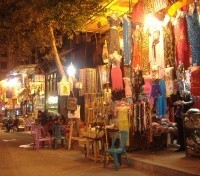 Enjoy private guided tours of Old Cairo and Cairo by night. 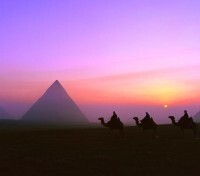 With a private guide, discover the Great Pyramids of Giza. 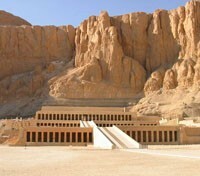 Explore the Valley of the Kings and King Tut’s Tomb. 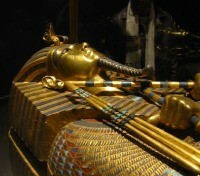 Feel the 5,000 year legacy of the pharaohs as you explore the unique treasures of Egypt. 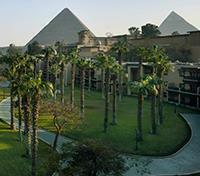 Discover Cairo’s storied relics and enjoy a luxury cruise along the Nile on this exclusive tour. 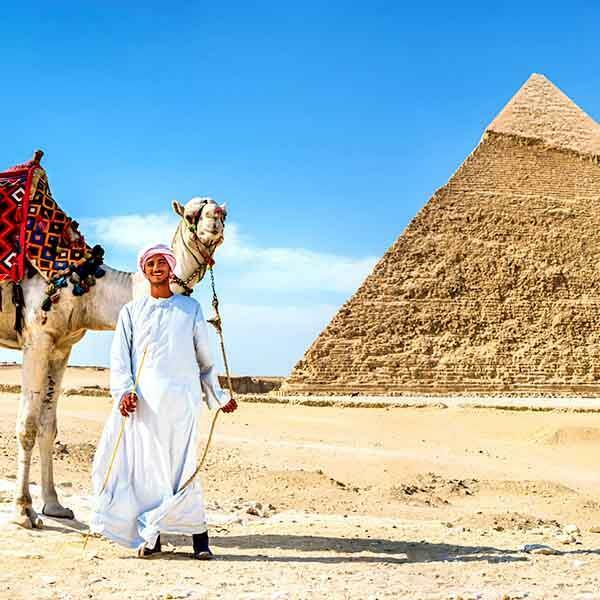 Step into history as you uncover the secrets of the pyramids, visit ancient temples, cruise down the Nile, and explore this land of wonder and mystery. Take in breathtaking views of the timeless of the Pyramids and the Sphinx, explore the Egyptian National Museum’s brilliant Tutankhamen exhibit, the bustling bazaars of vibrant Cairo and more - all accompanied by your own Egyptologist, driver and guide. Enjoy a personalized vacation that best suits your needs, developed by one of our experienced destination experts. 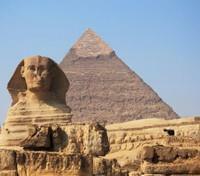 Experience all the wonders of Egypt a step ahead of the rest as you travel with your own private Egyptologist. 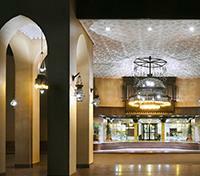 Enjoy nightly entertainment and countless photo opportunities. Relax during your trip with our 24/7 support and expert local guidance. 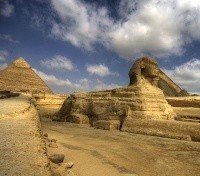 Receive far more than your money’s worth of attention, action, antiquities and memories of Egypt that will last forever. 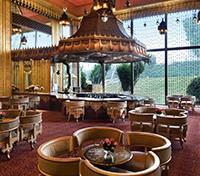 Dine at one of Marriott Mena House's delectable in-house restaurants this evening. Tonight's meal is included, and beverages are available on an à la carte, pay as you go basis. Appreciate the true meaning of the word 'unique' at the Marriott Mena House, Cairo in a setting that has entranced travelers through the ages, where the timeless majesty of the Great Pyramids of Giza cast their spell. The tranquility and fresh, sweet breezes have attracted royalty, the rich and famous to this magical location for 150 years, offering an irresistible escape from the bustling city of Cairo just 45 minutes away. The Marriott Mena House, Cairo merges the exceptional heritage of the Pyramids standing gloriously as a witness of over 7000 years of civilization and Marriott International's 21st Century tradition of innovation. The Marriott Mena House, Cairo comprises 331 luxury rooms and suites, many boasting views of the Pyramids, the lavish gardens or the swimming pool, four restaurants and lounges, expansive indoor and outdoor meetings and banquet facilities, a heated swimming pool and a health club. The Great Pyramids of Giza are the most iconic image of Egyptology and an absolute must-see on any trip to Cairo. Meet with your private guide, driver and Egyptologist, and head to Giza to discover this marvel and the only surviving site of the original Seven Wonders of the Ancient World. Start with a visit to the adjacent Solar Boat Museum, home to the reconstructed Khufu solar ship. Step back from the museum and marvel at the breathtaking scenery of the UNESCO World Heritage Site of the Great Pyramids of Giza juxtaposed against the famous Sphinx statue. The sheer beauty and allure of the Sphinx have mystified world travelers the likes of Alexander the Great and Napoleon Bonaparte, an imposing scene against the backdrop of the infinite desert behind it. The mysteries of the Great Pyramids have piqued the curiosity of visitors for thousands of years. Enter the Great Pyramid of Cheops, also known as the Pyramid of Khufu. The oldest and largest of the major pyramids, The Great Pyramid was the tallest man-made structure in the world for more than 3,800 years. One of the most iconic images of Egypt is the sight of a caravan of camels heading out into the desert against the backdrop of the sun setting alongside the stunning Pyramids of Giza. This evening, your private driver will pick you up at your hotel before sunset and transfer you to the desert. Join in a shared desert trek on your choice of camel or horseback and set off into the desert to gaze upon a panoramic view of a dramatic sunset with the Pyramids of Giza as a backdrop. After sunset, stop for your included dinner at Andrea restaurant for an Egyptian meal, then return to your hotel by private vehicle. Take some time to get settled into your stateroom and explore the ship. Tonight you'll overnight at port in Luxor. Luxor is home to one of the world’s greatest open-air museums, with the ruins of Karnak and the Temples of Luxor in easy reach along the East Bank of the city. With your private Egyptologist guide, visit the impressive UNESCO World Heritage Sites of the monuments of Karnak and Luxor, learning more about ancient Egypt’s fascinating and lengthy history. 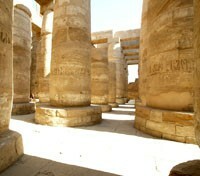 Begin with a visit to the Temples of Karnak, strolling along the Avenue of Sphinx to enter the complex. The Temples of Karnak make up the history of Thebes and consists of colossal sandstone columns transported 100 miles along the Nile river, panoramic friezes. Discover with your guide how the massive façade was constructed. Continue to Luxor Temple which was once joined to the Temples of Karnak by a 1.25-mile-long Avenue of Sphinx, a portion of which marks the entrance to the temple. The temple dates to approximately 1400 BC and is dedicated to the rejuvenation of kingship rather than the Pharaohs, cult gods or deified versions of the king in death. During the Roman era, the temple and its surroundings served as a legionary fortress and acted as the home of the Roman government in the area. Relax this evening on board the comfort of your Nile cruise and enjoy the evening of entertainment, including local Egyptian music. Aboard M/S Mayfair, retreat to elegant interiors, comfortable cabins, serene surroundings and lavish dinners topped off with natural sight-seeing. Sail the majestic Nile river between Luxor and Aswan and experience true luxury. Mayfair Cruises allow our guests to visit historical temples, tombs, and ruins in the area Our guests will also be invited to take part in leisurely activities on-board during the evening. Today you'll sail to Edfu, via Esna. Tonight you'll overnight at port in Edfu. A horse carriage will be waiting for you and your private guide when you disembark from your Nile cruise to explore the Temple of Horus in Edfu. Dedicated to Horus, the falcon god, the temple was built from 230 to 57 BC by Ptolemy III and his successors and is considered the best-preserved cult temple in Egypt because of its later construction date. Despite its late era origins, it reflects traditional pharaonic architecture, and the Temple’s inscribed building texts provides an excellent idea of how all the temples once looked, with details about its construction. It fell into disuse as a religious monument when the Roman Empire banned all non-Christian worship within the Empire in 391. 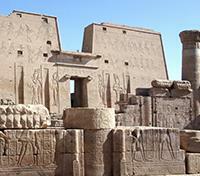 Edfu is an impressive temple, and is the second largest in Egypt after Karnak Temple. Meet with your private guide and disembark from your Nile cruise to explore on foot the Kom Ombo Temple, a unique Greco-Roman temple dedicated to two gods: Sobek, the crocodile god, and Haroeris, the sun god. The Temple in Kom Ombo dates from about 180 BC, during a period known as the Ptolemaic era, and had some additions built on to it during Roman times. 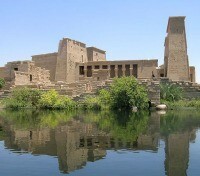 It stands right on the bank of the Nile between Edfu and Aswan. The temple is unusual in that it is a double temple, with one side dedicated to the god Haroesis and the other side to Sobek. The design is almost perfectly symmetrical, with two side-by-side sanctuaries and two parallel passageways leading through the outer parts of the temple. The right side is dedicated to Sobek-Re (the crocodile god combined with the sun god Re), along with his wife (a form of Hathor) and their son Khonsu-Hor. Sobek is associated with Seth, the enemy of Horus. In the myth of Horus and Osiris, Seth and his followers changed themselves into crocodiles to escape. The ancient Egyptians believed that by honoring the fearsome crocodile as a god, they would be safe from attacks. The left side is dedicated to Haroeris, the "Good Doctor" (a form of the falcon-headed god Horus the Elder) along with his consort Ta-Sent-Nefer, the "Good Sister" (another form of Hathor). 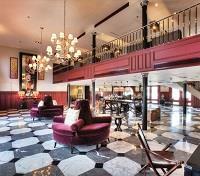 Tonight you'll overnight at port in Aswan. 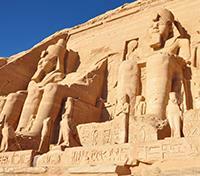 Board a flight from Aswan with direct service to Abu Simbel. Approximate flight time is 45 minutes. The two Temples of Abu Simbel are unique in style and considered to be the masterpieces of ancient Egypt. With your private guide, explore the glory and grandeur of the new Kingdom – a marvel of ancient architecture but also modern innovation. The entire structure was moved from its original home in Aswan 180 miles away by road to its current location on an artificial hill made from a domed structure, high above the Aswan High Dam reservoir to preserve it from being submerged during the creation of Lake Nasser during the flooding of the dam. The relocation project was a joint effort between the Egyptian government and UNESCO, protecting the Temples of Abu Simbel and downriver Philae under the larger UNESCO World Heritage Site known as the “Nubian Monuments”, and was one of the greatest challenges of archaeological engineering in history. The Temple of Ramesses II was dedicated to the four universal gods Ptah, Re-Her-Akhtey, Amun-Re, and to Ramesses II himself. The Temple of Queen Nefertari is also Called Temple of Hathor who was the wife of the Sun God so in a symbolic way, the two Temples, that of Ramsses II and that of Nefertari, bring Ramesses II, Nefertari, Hathor and the Sun God together as one. Approximate duration of the visit to the temples is an hour and a half. Board a flight from Abu Simbel with direct service to Aswan. Approximate flight time is 45 minutes. 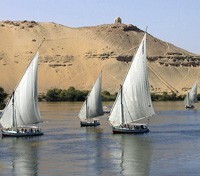 Set sail on a Nile adventure and take in the scenery around Aswan aboard a traditional, non-motorized felucca. Gently sail past the small, oval-shaped El Nabatat Island, also known as Kitchener’s Island, and explore the lush Aswan Botanical Island that features trees from the 5 continents. View the Mausoleum of Aga Khan belonging to Sir Sultan Muhammed Shah before sailing back into Aswan. The impressive Aswan High Dam was a marvel of engineering when it was constructed. Originally conceived to Egypt’s irrigation of farmland to mitigate against drought and famine in low-water years, and flooding in high-water years. Visit the dam with your private guide and spend a half day learning about Aswan. The dam displaced over 100,000 Nubians in Sudan and Egypt alike and was part of a major relocation project for archaeological sites under the UNESCO Nubia Campaign, including the Abu Simbel temples and Philae. Other sites were eventually flooded by Lake Nasser, the world’s largest artificial lake that was created by the Aswan High Dam. 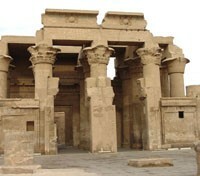 then head to Philae and the Temple of Isis on Agilikia Island. Stop at the stone quarries to see the unfinished obelisk, the largest known ancient obelisk and a very good practical demonstration of the methods used by ancient craftsmen to create impressive moments. Marks from workers’ tools are still clearly visible on the bedrock. Board a flight in Aswan with direct service to Cairo. Approximate flight duration is one hour and 30 minutes. Located in Egypt's beautiful capital, Kempinski Nile Hotel Garden City Cairo offers guests a boutique five-star experience on the banks of the Nile River. Right in the heart of Cairo's Garden City district downtown, guests are only a short drive from the Pyramids of Giza, shopping areas and local attractions. 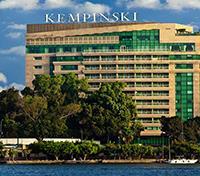 Kempinski Nile Hotel caters to large groups, couples and solo travelers offering 137 rooms and 54 exclusive suites in an unforgettable environment. 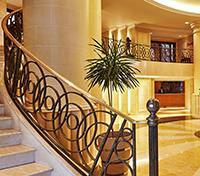 All suites come with their own private balcony so guests can relax and enjoy a beautiful view of the Nile River. With a collection of culinary experiences at four restaurants and lounges, a luxury spa, rooftop pool, modern fitness center, guests at Kempinski Nile Hotel will find everything they could ever need. Cairo and the surrounding area around the Nile have been inhabited for millennia, and the heart of old Cairo is still home to a host of ancient ruins telling the story the Persians and the early immergence of Christianity. With your private guide and driver, head to the remains of the Babylon Fortress, originally constructed by the Persians around the 6th-century BC. These ruins are the city of Cairo’s oldest original structure – while the pyramids are older, they are in nearby Giza. Within the confines of the Fortress of Babylon are a number of important Coptic Christian Churches, including the Church of St. Sergius and Bacchus Church, also known as Abu Serga, constructed on the spot where the Holy Family is reported to have rested at during the end of their journey into Egypt. 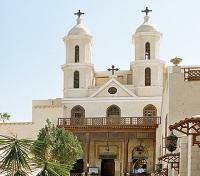 Visit the Hanging Church, one of the oldest churches in Egypt. Its nave is suspended over a passage and the church was the seat of the Coptic Pope for centuries after it was relocated from Alexandria following the Muslim conquest of Egypt. See the Church of Saint Barbara, a long-lasting example of ancient Coptic architecture commemorating a 4th-century local saint. End the day with a visit to the Coptic Museum which houses the largest collection of Egyptian Christian artifacts in the world and important examples of Coptic art.